The Guitar Festival of Ireland is over for another year! I would like to thank the Arts Council, Istituto Italiano di Cultura Dublino, The Royal Irish Academy of Music, the Office of Public Works, National Opera House, Wexford County Council, Music Network, RTE, guitar teacher Marion Hyland and Dr. Aidan Seery of Trinity College Dublin for their incredible support. ‘Set to be a humdinger of an event with yet another mouthwatering programme crammed with international artists of high repute.’ Tim Panting, Classical Guitar Magazine, London. ‘Workshops, concerts, classes and all kinds of celebrations for one of the world’s greatest instruments.’ Hotpress. ‘Unlike the sequels to Jaws and Rocky the Guitar Festival of Ireland actually gets better every year.’ Tim Panting, Classical Guitar Magazine, London. 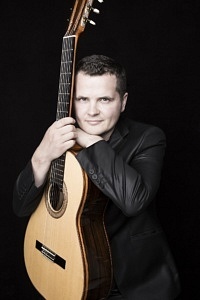 ‘It is remarkable how the occasion has grown into an event of extravagant proportions with some of the most prestigious names in the guitar world.’ Classical Guitar Magazine, London.